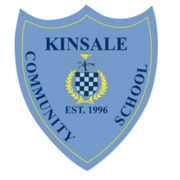 Kinsale Community School is aiming to have the reputation of being the “Healthiest School in Ireland.” The school has enjoyed national success in multiple sports including basketball and golf. However, the playing field has been frequently waterlogged and unplayable and this has hindered outdoor activity for the students. The school is currenty undegoing a major exension including upgrading the existing sports facilities. The new gymnasium, with a full sized indoor basketball court and a fitness suite, has been completed and will be ready for use in the new year. In addition to this, the playing field has been re-surfaced with FIFA accredited all weather astro-turf. In the Spring of 2017 a new 5 lane 300 metre running track will be put in place around the outside of the pitch. The semi oval areas at either end of the pitch will be used for tennis and other activities. This will ensure that students will have access to the best quality playing surfaces for both organised sport and informal games throughout the school year.